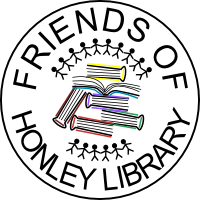 'The Friends of Honley Library' aim to enhance the service provided by the Library, working in conjunction with Library Services, for the benefit of the Honley community. Please join us. By signing up below you are agreeing to recieve emails from us with no further obligation. We will not pass your address on to anyone. The Friends of Honley Library support the use of voluntary assistance to help promote the Honley library service. Please let us know if you also wish to volunteer at the Library.